Irina Creek, 10, in her Russian orphanage received OCC shoebox of love gifts; forever changed! Irina Creek as a 10-year-old received a shoebox of love gifts in the former Soviet Union. Now you can hear her tell her moving and powerful story of having addictive parents that required her being placed in an orphanage. Her father would drink, fight, and be in and out of jail. Her mother, in her addiction, would sometimes be passed out in a ditch near their home. In her second orphanage, volunteers from Operation Christmas Child (OCC) came to visit … with shoeboxes of love gifts for each child! You will be so moved as she describes the impact of that visit. 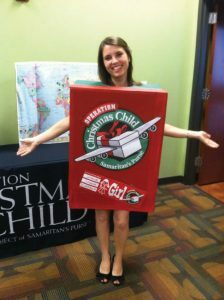 Along with receiving a shoebox, in a 15-minute presentation she heard why Jesus Christ came to our world. She received Him by faith and is forever changed! Humor is not to be overlooked. 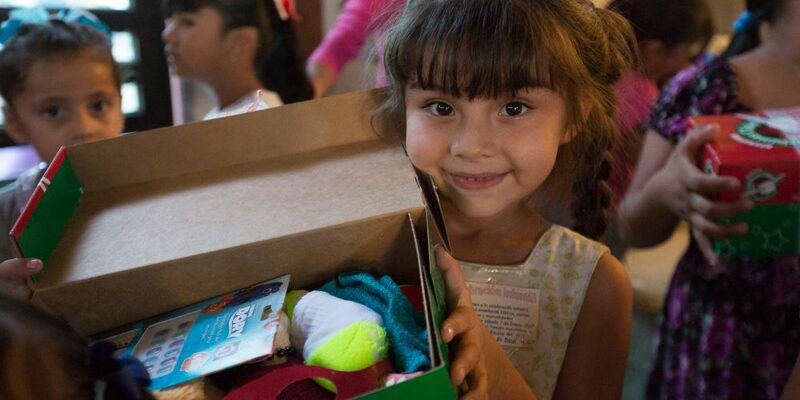 Among the gifts in her shoebox was a toy dinosaur, bringing a bit of a “letdown” when she saw a hole in it. It took others to take a pencil, place it in the hole, and sharpen a pencil. She had never seen a pencil sharpener before! In the studio at the time were other guests: Linda Morgan, a 10-year OCC volunteer from Dexter, MO, now OCC staff member of the lower Midwest region (introduced on the recording); Joe Christian and Scott Luhring, staff members of Samaritans Purse, sponsors of Operation Christmas Child. Irina so longed to be adopted that she, early on, prayed to God about it. She realized that God was a God of adoption. God’s answer was that she and her younger sister were both adopted by a South Carolina family. Now she is a wife of a fine man and the mother of a precious little child. Enjoy Irina Creek’s story … in her own words. To hear … “Linda Logsdon, Kim Smith; urge OCC shoeboxes for www.samaritanspurse.org, needy children worldwide” … click on … http://haroldhendrick.com/2010/11/05/linda-logsdon-kim-smith-urge-occ-shoe-boxes-for-www-samaritanspurse-org-needy-children-worldwide/ .